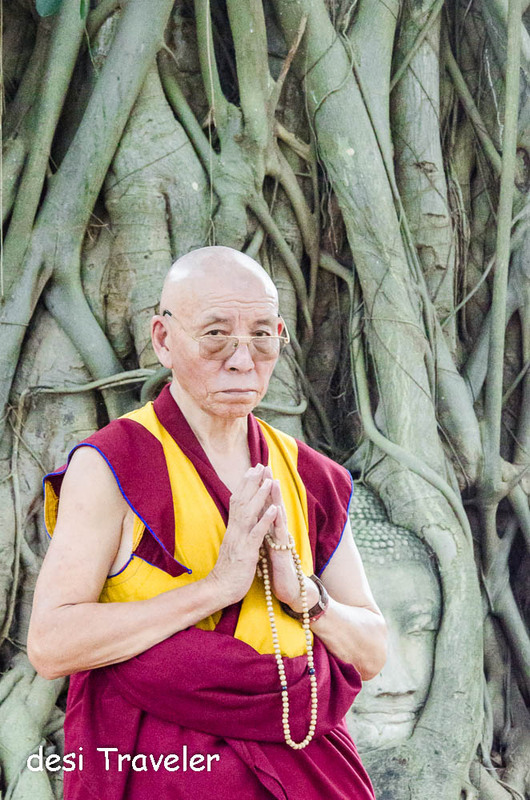 It is believed that Buddha attained supreme enlightenment under a Peepal tree in Bodh Gaya, so ever since I first saw the picture of a Buddha Head in the roots of a large Peepal Tree it was very high on my wish list. So when I was told that I will visit the Wat Mahathat, Ayutthaya I could not believe my luck. 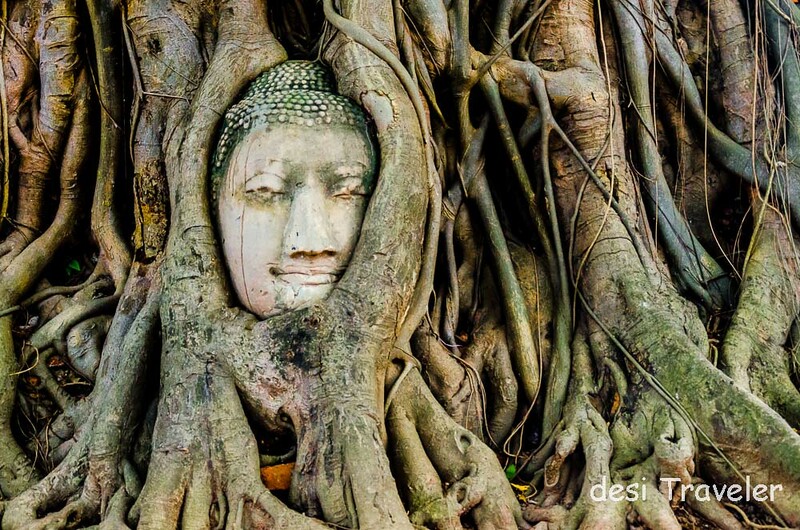 As I vividly remember when I first saw the picture of Buddha’s head in tree roots I could not take my eyes off the same. The moment we reached the ancient Wat Mahathat temple in the Ayutthaya Historical Park, now a Unesco World Heritage Site, I immediately walked towards the Buddha Head. 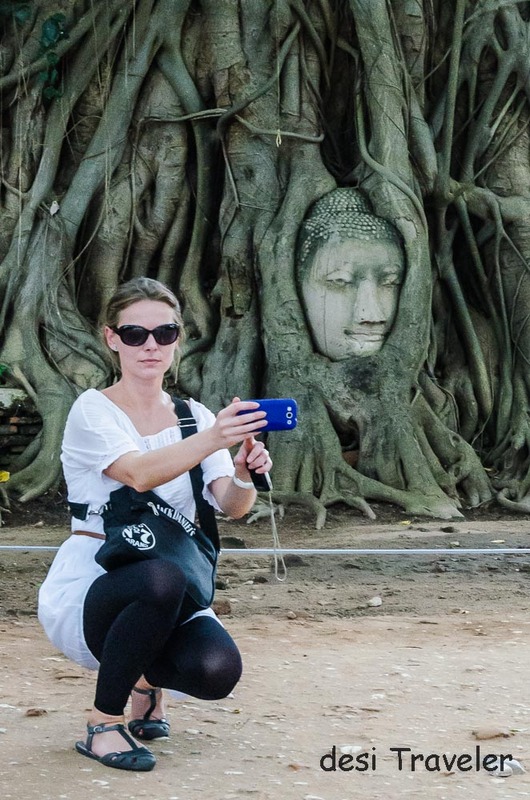 But I was not the only one who wanted to click the Buddha head in tree roots, there were tens of other tourists, travelers, photographers, and even monks who wanted to click Buddha and seek his blessings. 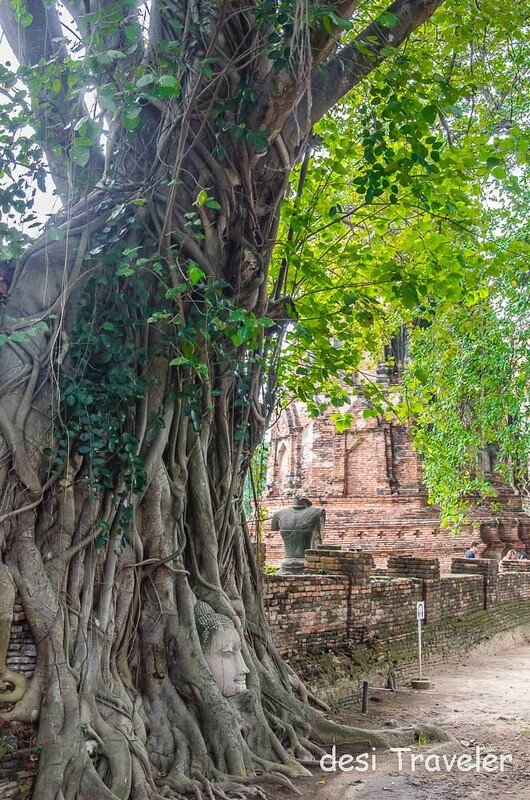 Nobody is 100 % sure how the Buddha head got entangled in the roots of the Bodhi Tree, that we commonly call Peepal Tree (Botanical name: Ficus religiosa ). The most accepted theory is that when the Burmese army vandalized the 14th century Wat Mahathat temple in the 1767 invasion, they destroyed the temple and it lay in ruins for next hundreds of years. 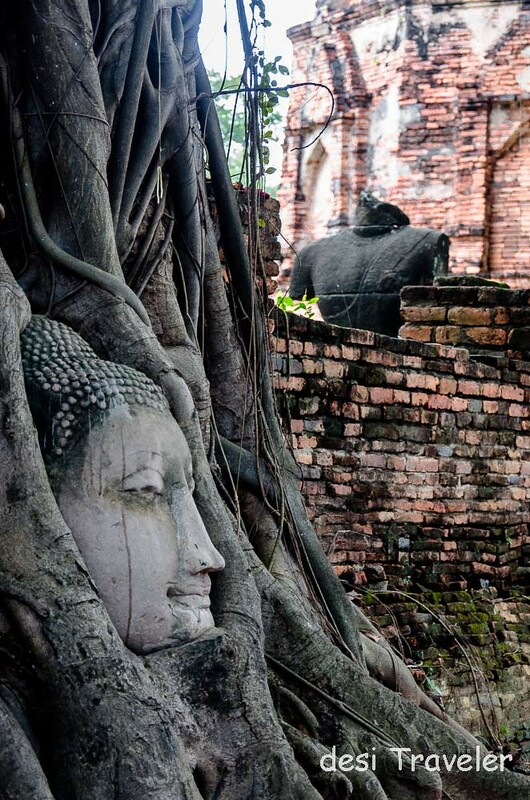 Sometime during this period of neglect, the tree may have grown around the Buddha head. 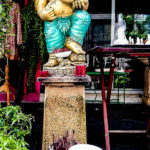 Another theory is that a thief was carrying the head but he could not carry it far and hid it under the tree to come back, but never came back and in the course of time the roots of the tree grew around the head of Buddha. 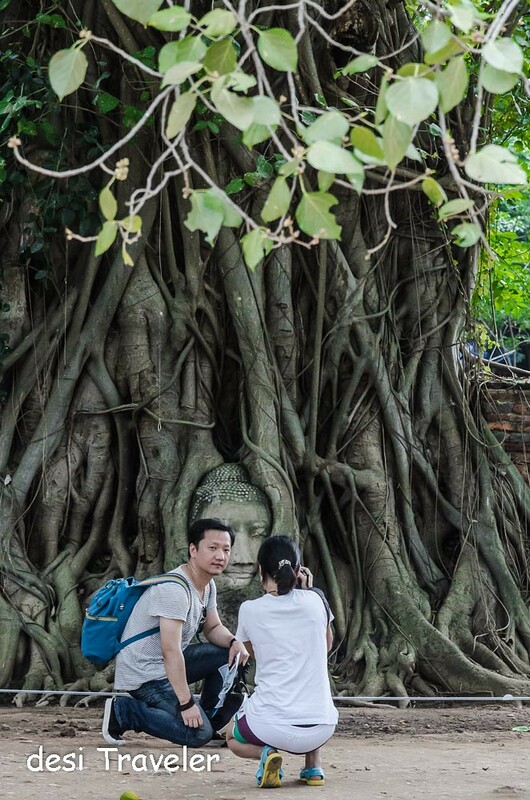 Whatever the reason today this Buddha head in the roots of Bodhi Tree at the Wat Mahathat temple is one of the most iconic images of Thailand. So how could I not try to click the Buddha head that mesmerized me when I first saw the pictures many years ago in a book about Thailand. If you look closely the roots of the tree are a bit damaged I am not sure if this was a part of some maintenance activity or somebody tried to remove the head of Buddha from the tree roots. Now you need to click pictures from a distance and there is cordoned off the area using a string to demarcate the area beyond which tourists are not allowed as you can see in the last picture in this blog post. While most images you see of the Buddha head in the roots are full frontal shots, I was not satisfied with a single click and spent a good amount of time trying to click pictures from all possible angles. My most satisfying image that I clicked of the Buddha head in the roots is of this monk who was kind enough to allow me to click his pictures. The other images of the tourists clicking pictures that you see here were clicked with full knowledge of the people in the pictures. No special explicit permission was solicited but they were aware that I am clicking their picture. Anyways more than the individuals I was keen to show how the Buddha head in the root has a fan following and is considered a must to be clicked with icon that is one of the most recognizable icons of Thailand. Do you think this head could belong to this headless statue ? What came first the tree or the Buddha Head in tree roots? 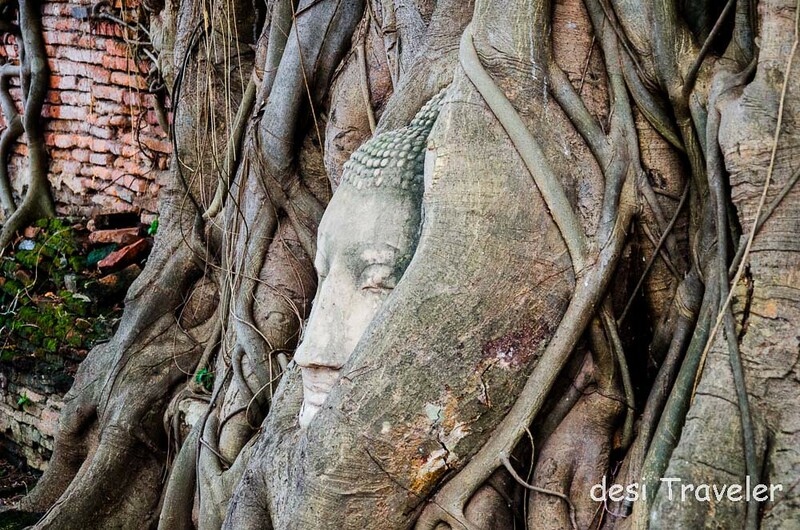 I must say I was very happy to click the pictures of Buddha head stuck in the roots of the Bodhi Tree as this particular image was stuck in my mind for many years just like a song that you heard and it keeps on playing in your head. Our guide Chart Chan, who studied in Delhi University heard about my wish to see the Buddha head in Ayutthaya he smiled and could not believe how antsy I was about the same. 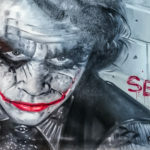 What is one picture that you want to click in Thailand? If you have not been to Thailand, then I suggest you make plans to visit Amazing Thailand, especially considering Indians can get Visa on Arrival in Thailand. Some quick facts: Ayutthaya is the former capital of Kingdom of Thailand and the temples are Unesco World Heritage Site. 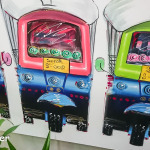 The road to Ayutthaya is excellent, but you also have an option to take a train to Ayutthaya from Bangkok, the capital city of Thailand. Don’t forget to have some refreshing Coconut water sold by the vendors in the Ayutthaya Historical Park, spread over a large area. I was invited by TAT New Delhi for my trip to Amazing Thailand and I had a great time. So are we connected on Instagram ? 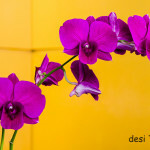 if not let us connect now and see life around us in a square. Loved them all, and I hope I too will find myself there one day! First of all — Thank you for the pictures. Just seeing the pictures has made me curious. The fact that nobody really knows how that head got there, makes me want to see it for myself. You, having been there, thought about ALL probabilities, I’m sure. Btw what’s that head made of? Stone? Wood? Good that they’ve cordoned off the area.